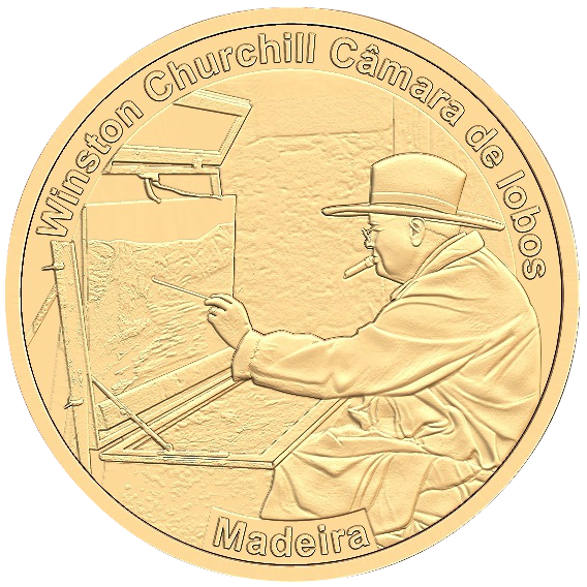 Not many visitors to Madeira know that the Island was a special retreat for Winston Churchill. Like so many other British aristocrats before him and up to this day, Madeira has always been the reviled destination to go to, and the Reid’s Palace Hotel the accommodation of choice. Churchill arrived in Funchal aboard the liner, the Durban Castle ,on the 2nd of January 1950. Churchill occupied his time admiring the beautiful landscapes of Madeira. He was impressed with Camara de Lobos, where he painted various pictorial images of the village. He also painted the refulgent valley of Ribeira da Metade in Ribeiro Frio – the location of the hatchery where trout are bred alll year round still today. Churchill adored the country-side, he spent as much of his time as possible close to nature.